I went at New Year, and it has had a bit of a face lift. Great atmosphere, although there are now less chairs/tables. Th Czech micro-beers have been replaced by (admittedly) well poured Staropramen. This pub has now reopened, and still serves great lesser-known Czech beers and has live music most nights. 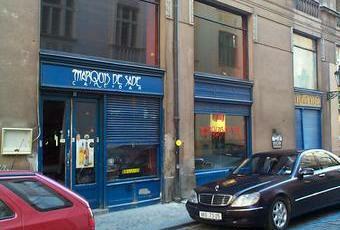 Although I'm a pub fascist and therefore to be ignored, when I lived in Prague I visited here once and didn't like it. An expat haunt, like O'Che's and Jama and all the others... little character and gets lairy stag lads in.